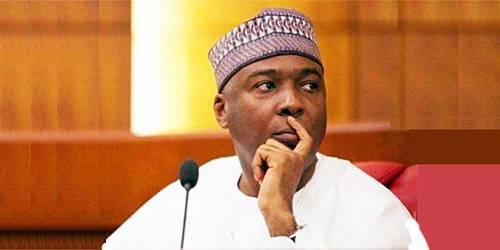 The Supreme Court will today give judgment in the appeal filed by Senate President Bukola Saraki and a cross-appeal by the Federal Government. The main appeal and cross-appeal are against the December 12, 2017 judgment of the Court of Appeal, Abuja in an earlier appeal by the prosecution in the trial of Saraki for alleged false assets declaration before the Code of Conduct Tribunal (CCT). The CCT, headed by Danladi Umar, had in a ruling in June last year, upheld Saraki’s no-case submission and dismissed the 18-count charge on which he was being tried. The prosecution, led by Rotimi Jacobs (SAN), challenged the decision at the Court of Appeal, Abuja, which partially upheld the appeal in the December 12, 2017 judgment. The Court of Appeal restored three counts out of the 18 contained in the charge and ordered Saraki to enter defence, in respect of the three counts, before the CCT. Saraki appealed the decision to the Supreme Court and prayed the apex court to among others, restore the decision of the CCT and dismiss the charge in its entirety. In the cross-appeal, the prosecution wants the Supreme Court to restore the entire 18 counts and order Saraki to enter defence in respect of all the counts.